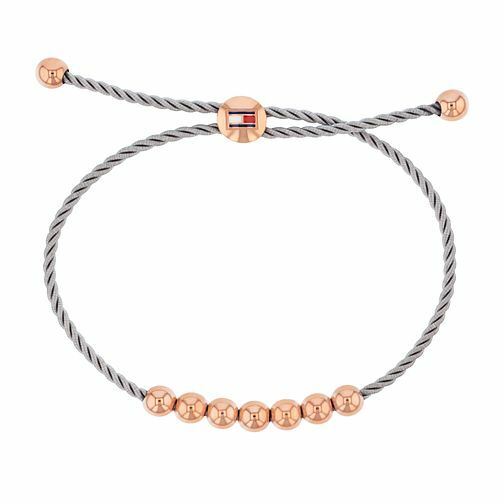 A timeless Tommy Hilfiger ladies' beaded friendship bracelet. With rose gold plated beads upon a cool navy twisted cord. This bracelet provides effortlessly casual style, and is complete with an enamel Tommy Hilfiger flag on pull closure.